Including why Carol Danvers punched that old woman. 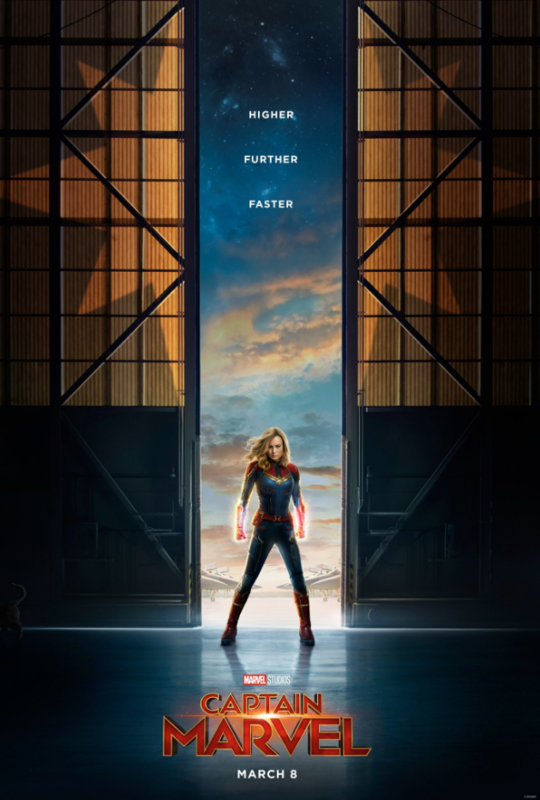 The Captain Marvel trailer is officially here! If you're anything like me, you've watched it at least 167 times by now. 1. First of all, that bit where Carol Danvers apparently punches an innocent old lady? Yeah, she's not so innocent. Captain Marvel is set in the '90s and focuses on the war between two alien races, the Kree and Skrulls. We've seen Kree characters in the Guardians of the Galaxy movies – most notably, Ronan the Accuser (more on him in a sec) and Korath the Pursuer. But we haven't seen Skrulls before – THAT WE KNOW OF. Because you know what Skrulls can do? Shape-shift into anything! ANYTHING! Including sweet little old ladies. Yep. That biddy Carol is punching is almost certainly a Skrull. 2. Speaking of the Skrulls, we get a glimpse of them in their natural, scaly form in the trailer. They're on a beach – which is possibly setting the scene for their invasion of Earth. 3. You no doubt spotted a de-aged Nick Fury (with hair and two eyes!) and Phil Coulson. But did you catch the shot of Ronan the Accuser? He was the bad guy who had distanced himself from his fellow Kree and allied himself with Thanos in that movie. Captain Marvel, of course, takes place 20 years before Guardians of the Galaxy, so we'll see him still very much a part of the Kree Starforce (the military unit Carol Danvers also fights for). The shot of him standing alone in the trailer could indicate we'll see the moment he breaks apart from them. It's also very ~interesting~ that he's in a spaceship staring at a planet that looks like Earth. 4. We get this great shot of Carol walking with fellow Starforce members Minn-Erva (played by Crazy Rich Asians star Gemma Chan) and Att-Lass (played by Algenis Perez Soto). 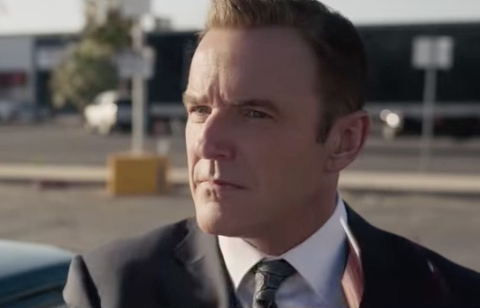 As well as this image of a concerned Jude Law as Mar-Vell. In the comics, Mar-Vell is actually Captain Marvel before Carol Danvers. While we don't know exactly how his story will play out in the movie, we do know he's a Kree warrior who will act as a mentor to Carol. 5. 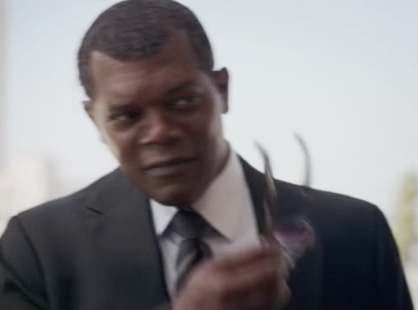 Back to Nick Fury for a moment – it looks like we'll see how he lost his eye in Captain Marvel. There's this very brief shot of what appears to be Nick holding an ice pack to his face while someone dissects a Skrull. Fury told Steve Rogers that he lost his eye when he mistakenly trusted someone. It seems likely we'll see a Skrull shapeshift into someone Fury trusts, and subsequently attack him, in Captain Marvel. 6. 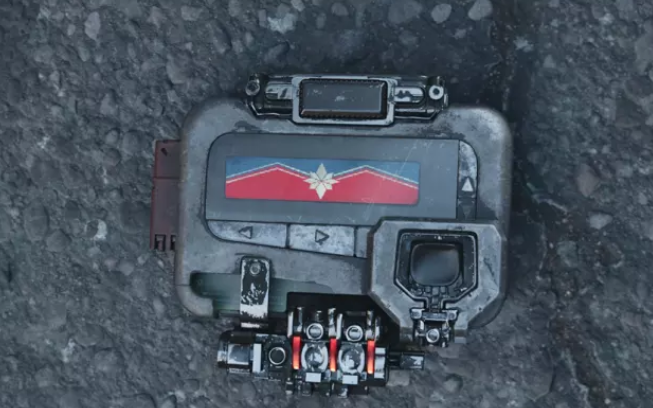 The Captain Marvel trailer also shows Fury communicating (probably with Carol) using a beeper – tying in with the end-credits scene of Avengers: Infinity War, in which we saw Fury apparently attempting to summon Captain Marvel with a beeper. 7. 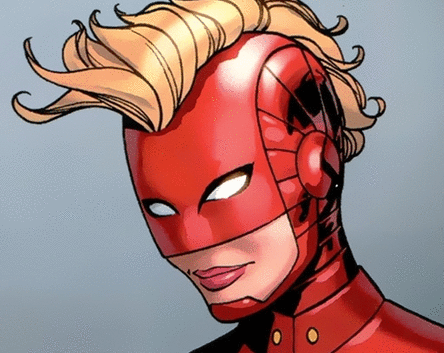 The trailer also indicates that Carol will don her iconic mohawk helmet. 8. And while the movie isn't a traditional origin story, it does look like we'll see how Carol got her powers. This explosion looks like it could be the incident which causes Carol's DNA to become infused with that of a Kree. 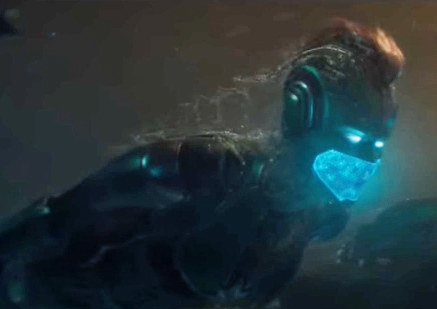 From what we get in the trailer, and the tidbits Marvel have released, it seems Captain Marvel will launch us straight into Carol Danvers fighting alongside the Kree, with no memory of her former life. 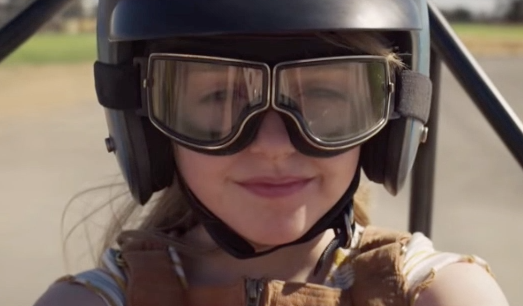 Her return to Earth (literally crash-landing in a Blockbuster store) will no doubt see her seek answers about her past – and we'll likely get a good dose of flashbacks in the process. 9. The flashbacks include this shot of Carol with her friend Maria Rambeau (Lashana Lynch), who is the mother of Monica Rambeau – a significant character in the comics. Monica is actually Captain Marvel after Mar-Vell, long before Carol Danvers takes up the mantle. That's not going to happen in the movies, but it'll be interesting to see what the MCU does with these characters. 10. 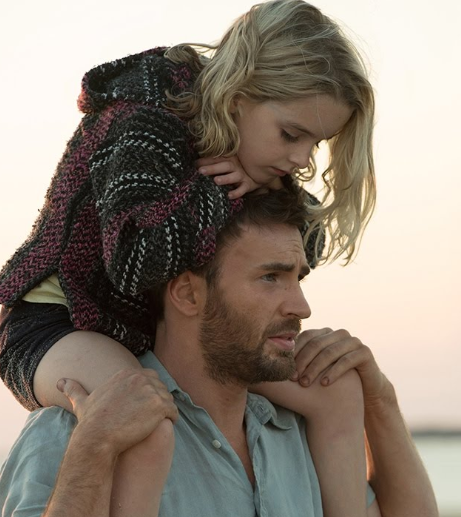 The flashbacks also show a young Carol Danvers, played by Mckenna Grace – who starred alongside the other Marvel Captain in the movie Gifted. 11. Speaking of the other Captain – some fans think there are a lot of parallels between Carol Danvers and Steve Rogers. 12. 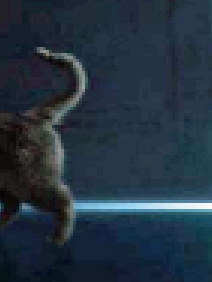 And it's not in the trailer, but the newly-released Captain Marvel poster also has a little easter egg – what looks like a cat walking out of frame on the lefthand side. This is probably Carol's pet Chewie. captain marvel coming out on international women’s day?? marvel really did THAT.